For Libra 2018 is a year of growth and communication. 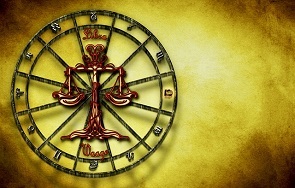 Libra will be very important for the people they love, as they will need help and support. You understand what you are worth and will reevaluate your authorities. In 2018 it is time not to expect to get something, but to act and to demonstrate that it is already yours. Generally, 2018 is a very good and progressive year for Libra. People around you will turn for help to you on a regular basis this year. Leaderships is natural in you in 2018, so it is a usual process. 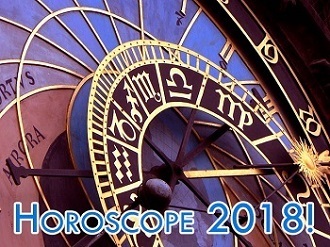 You will start 2018 year from your ruling Venus in conjunction with the Sun and soon afterwards in conjunction with Pluto. You will get lots of respect and acknowledgement, so just enjoy a wave of attention. Mercury this year will have three retrogrades, and all of them in fire signs. It will lead to a very fast pace of life, at least it will seem so. Also, you will feel charged with energy, so it is better for you to plan activities on Mercury retrogrades. The end of summer will influence your style and the way you look, while the end of fall will be quite intense. From late June through late August the Mars retrograde will aim to change the priorities in your life, ruin your plans, and reflect on career. This period will seem crazy, but it will slow down till its end. From October till the beginning of November The Venus retrograde will be in Libra, it will bring an amazing period of your romantic life. Emotions from this period will make you feel relieved and happy. Your career field in 2018 will go through substantial changes. You will feel the weight of the world on your shoulders, since the responsibilities will only increase. However, it is a period of your advancement, you will learn, adjust, reach success, but in your own tempo. In 2018 your previous success at work will finally be rewarded. This year is an important one to increase your professional skills, because you won’t have time for this in the next few years and the world around demands changes. Keep up to balance in career and personal life, because sometimes one area will ask for attention and you can neglect the other. One of your hobby has a potential to bring you fame and acknowledgement. In 2018 feel free to ask for what you are worth. If you want a salary raise or promotion – it is a right year to do this. In 2018 Libra will have good and more profound relationships with their partner. 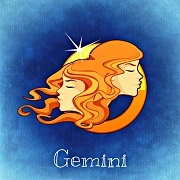 Due to Jupiter’s influence you with your partner will maintain stronger connection and deeper love. It will go along with greater passion and romantic atmosphere. If you are not satisfied by your present relationships, 2018 is a year to end them, as you might find the right person this year. However, such decisions must not be spontaneous or impulsive, as in such case you will only lose. All the ties from the past should be broken, because 2018 is a year of advancement for Libra and past wants you to stay in past.